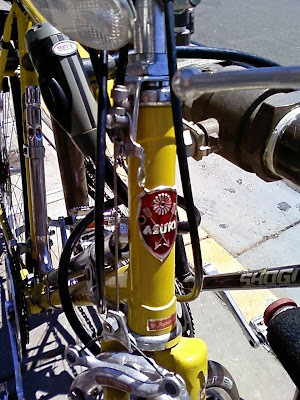 The headbadge from a really cool "Azuki" bike locked up outside one of my favorite places in Sac. 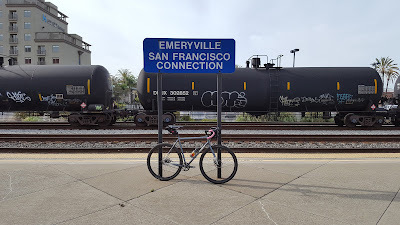 There is just something about a yellow bike that is so right, epecially when the paint is still so shiny! 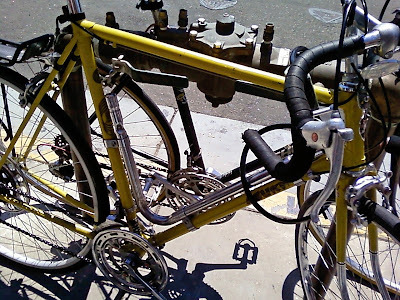 In the second pic you can see the interesting "bent" frame pump mounted inside the frame..